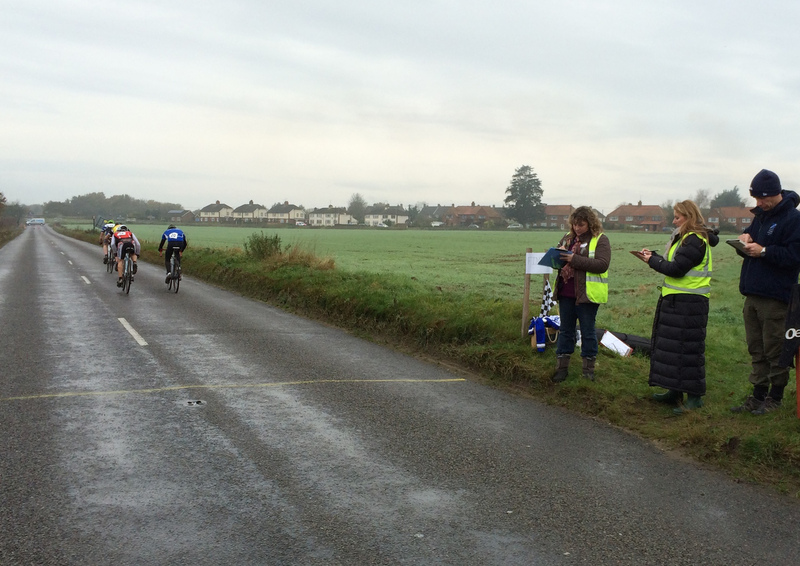 Massive respect to the marshals and spectators on a day that started benignly enough, but turned into a monsoon as soon as the women/vet-50 race was underway. 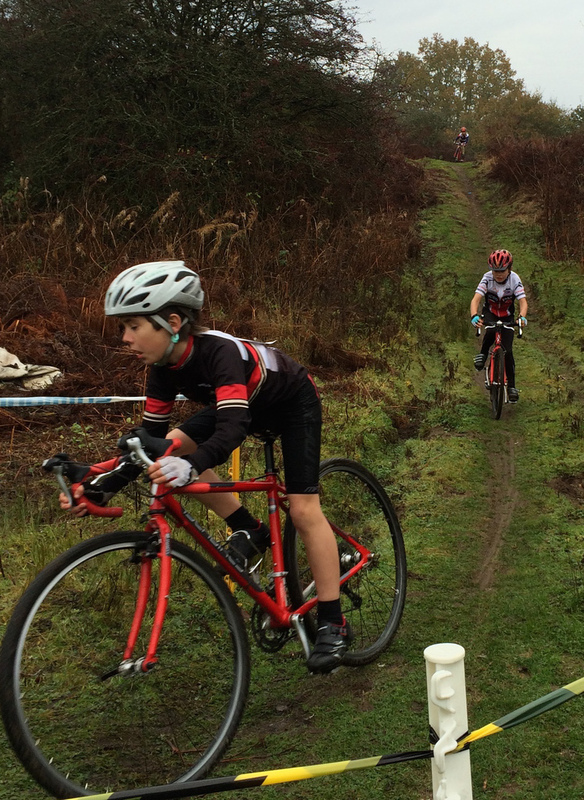 That race and the two races after it were played out in filthy conditions that tested rider abilities and made some of the climbs almost impossible to scramble up. 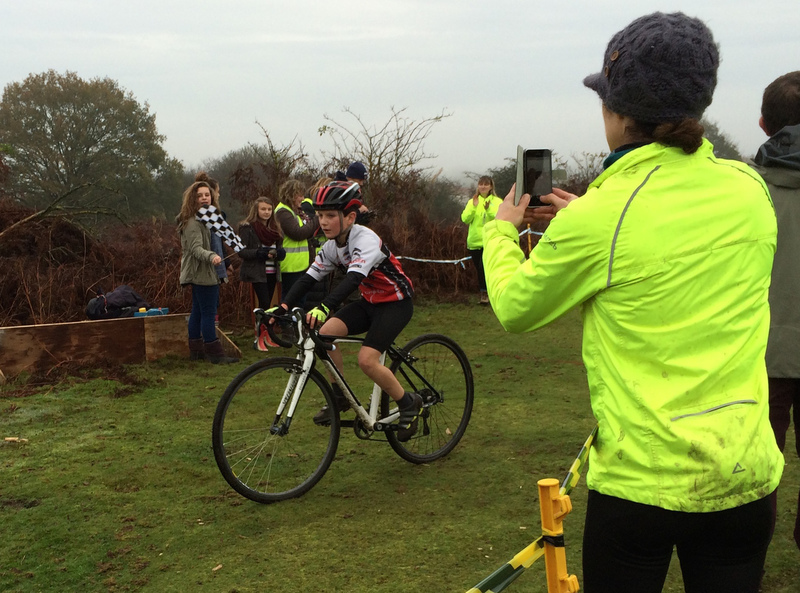 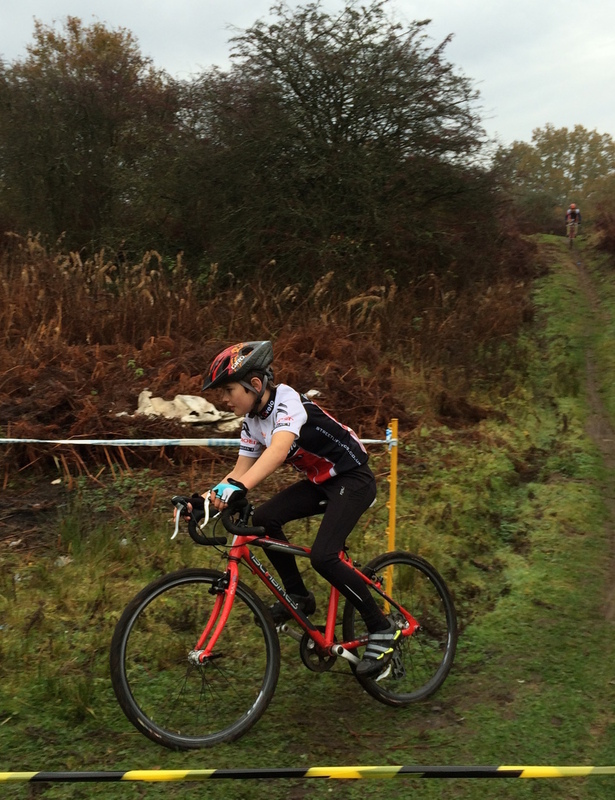 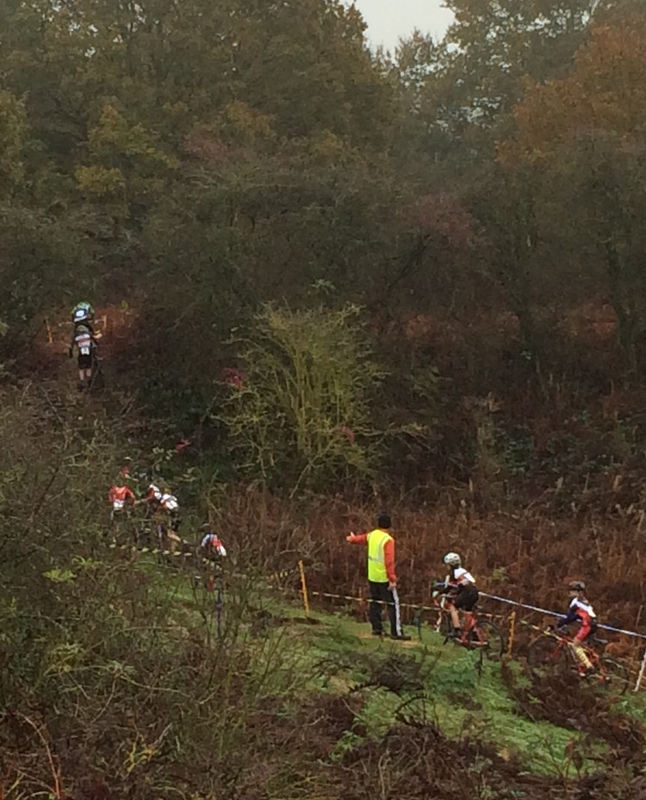 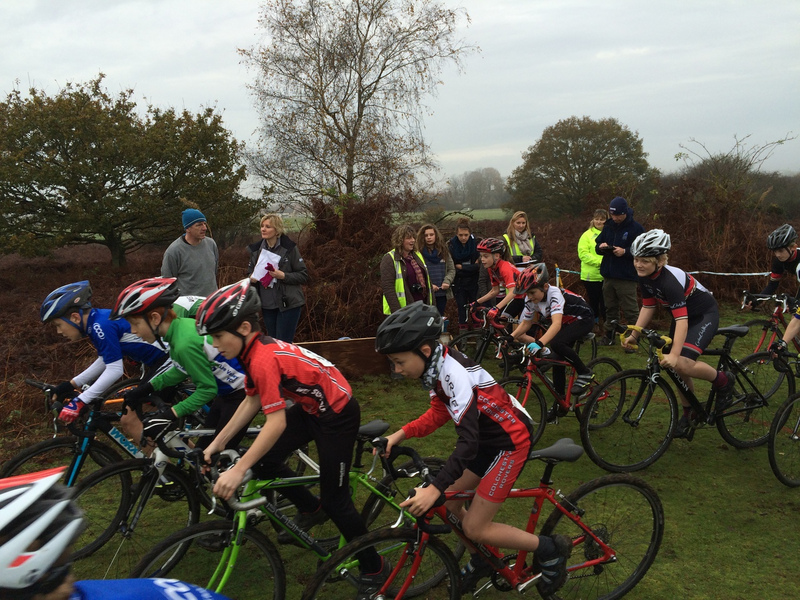 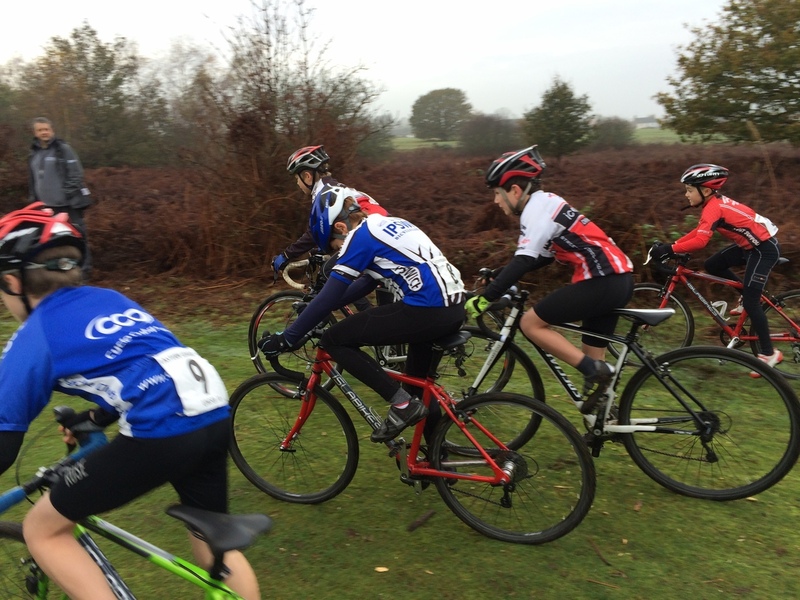 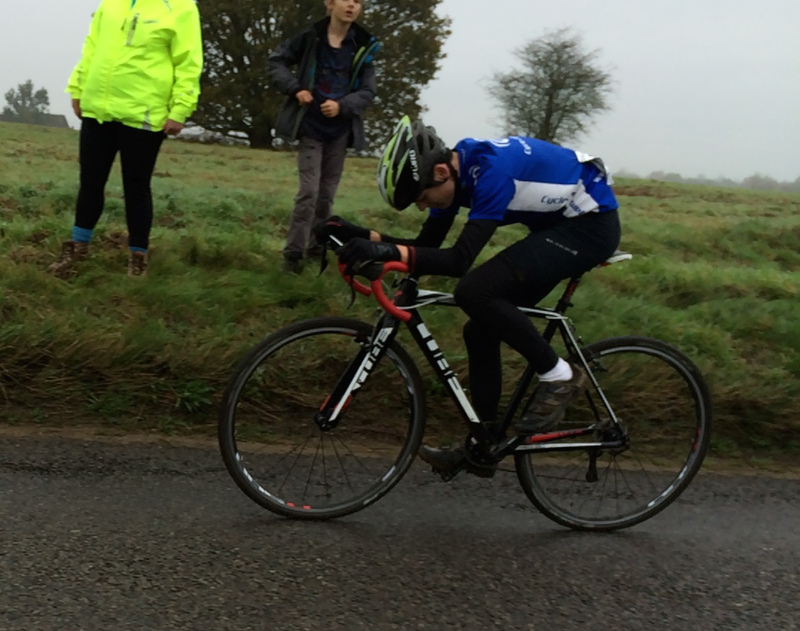 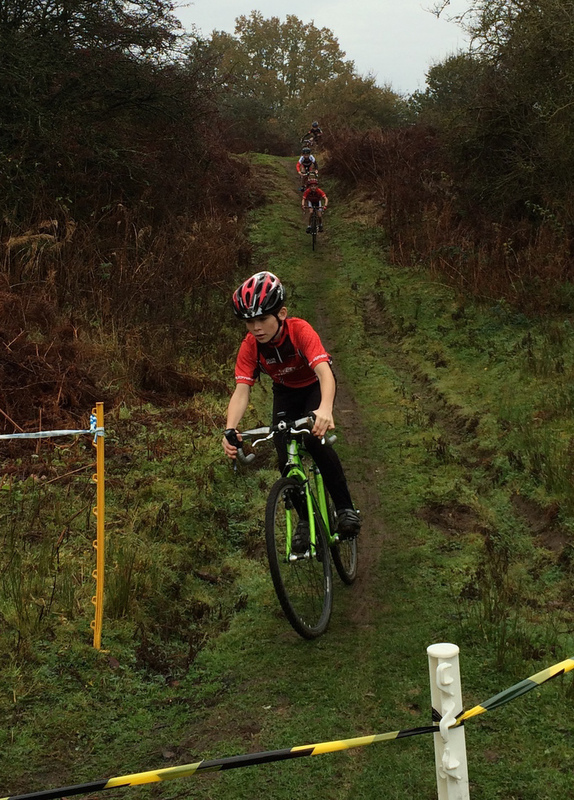 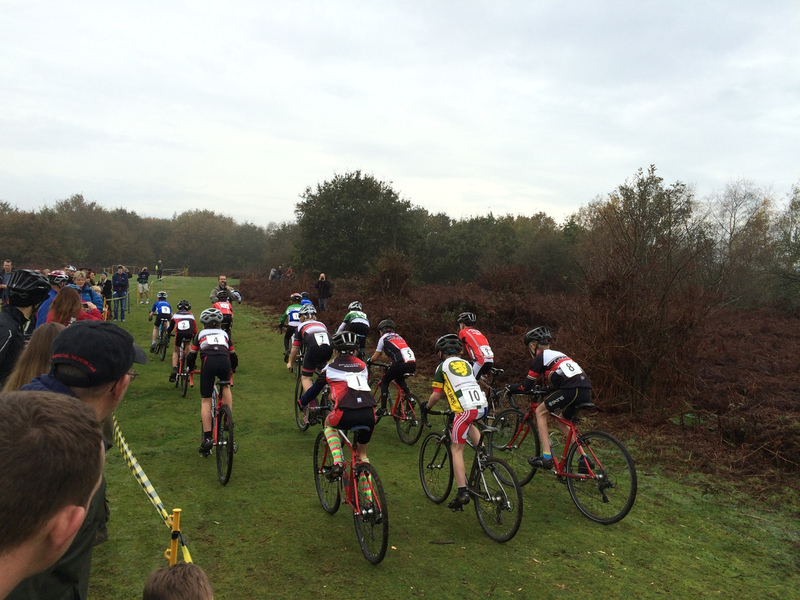 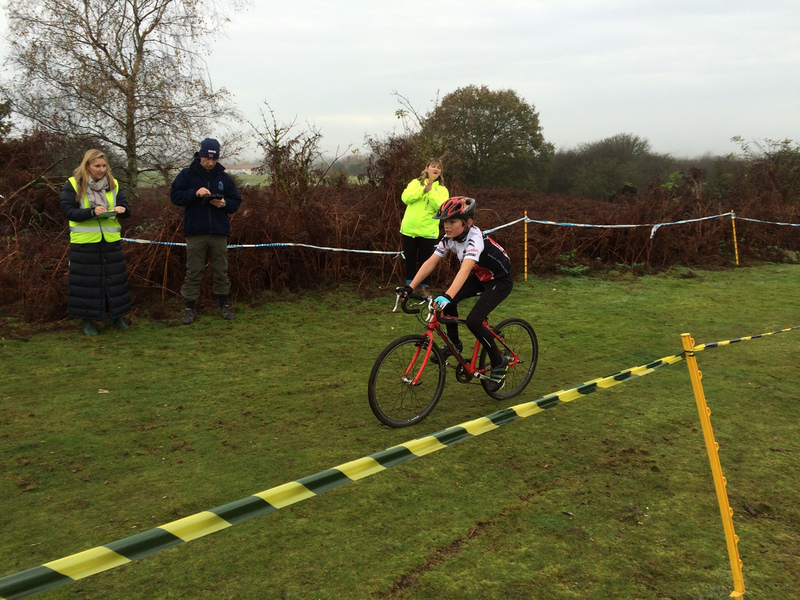 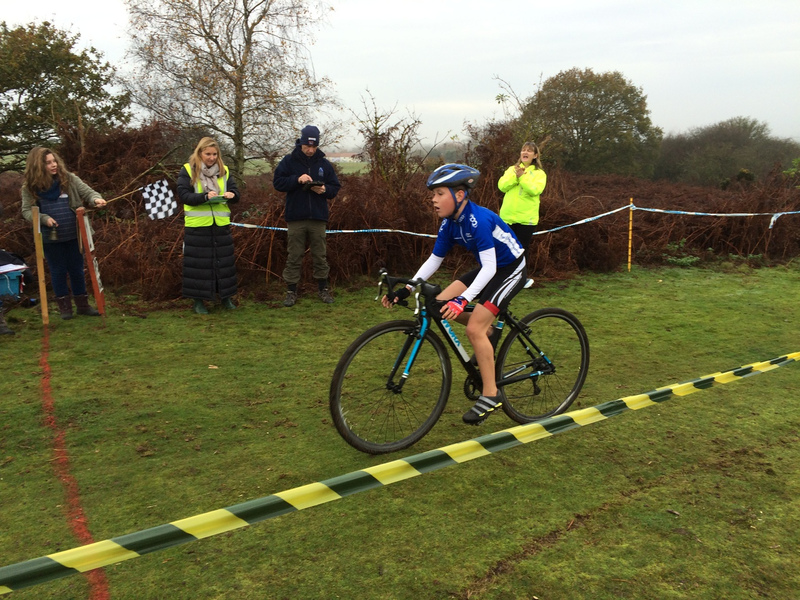 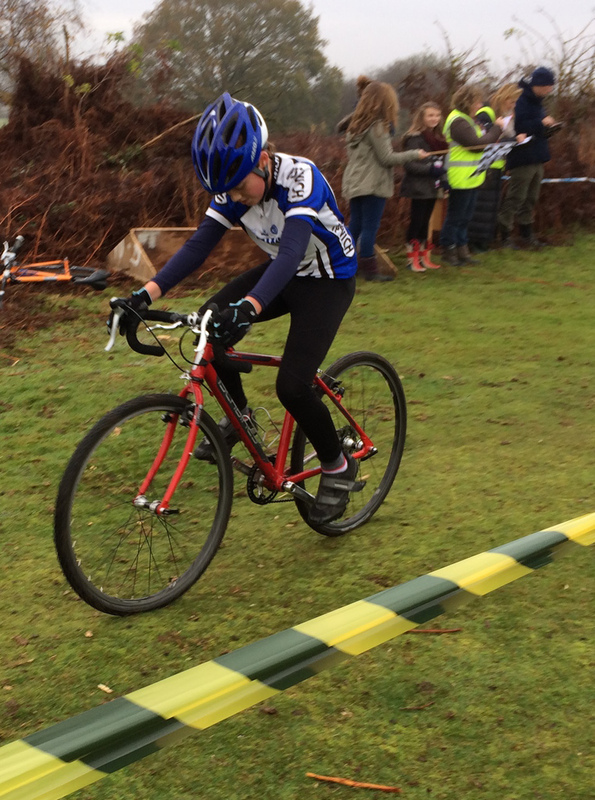 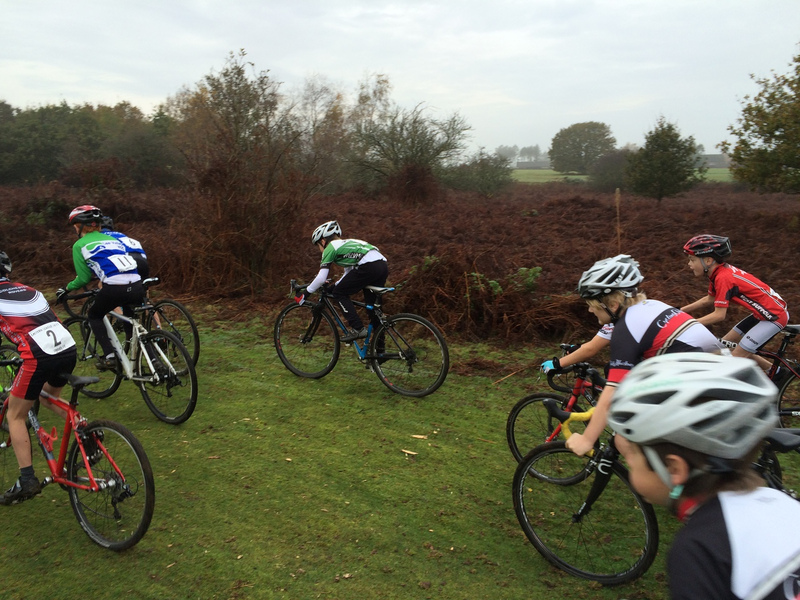 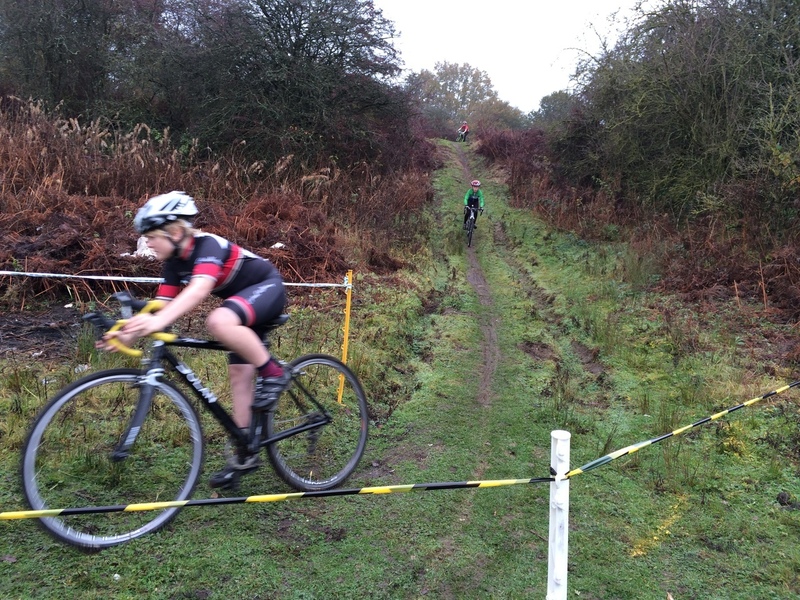 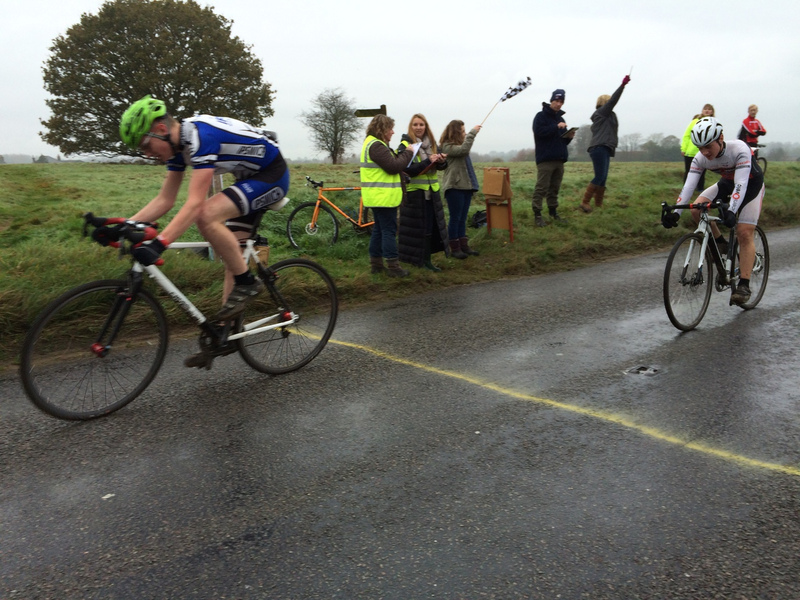 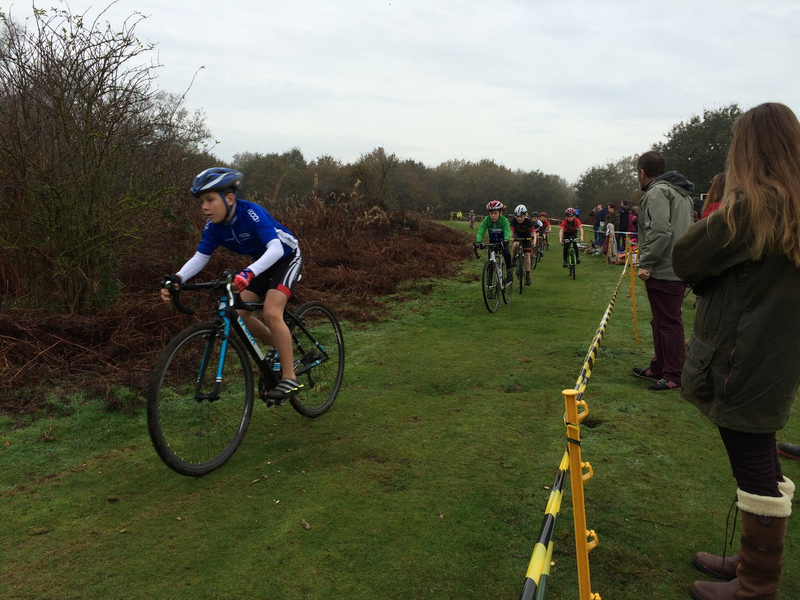 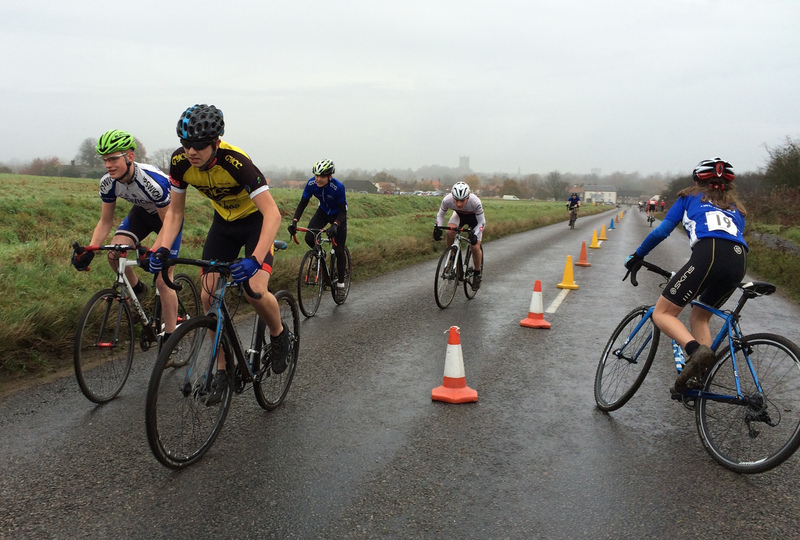 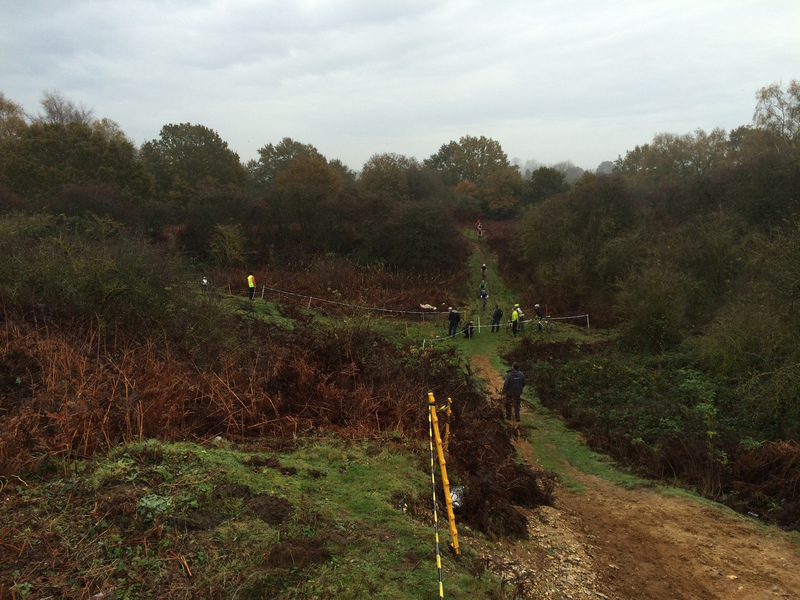 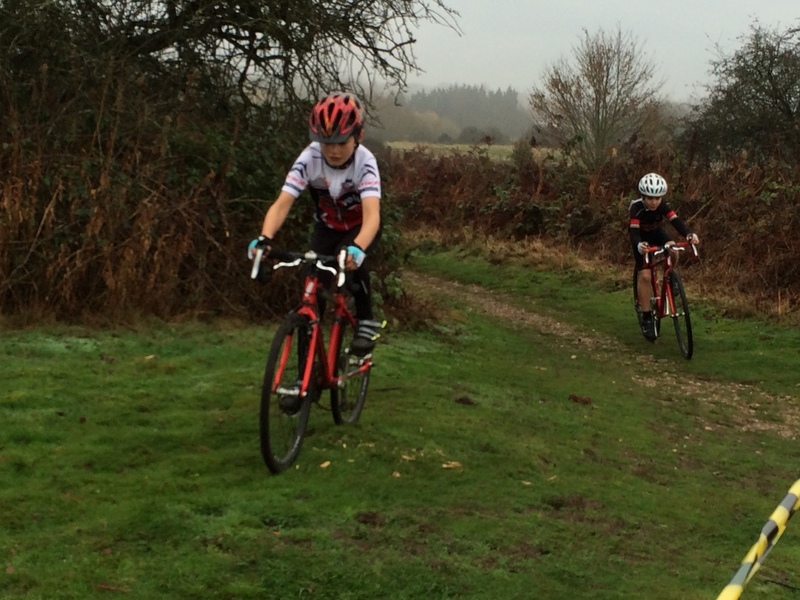 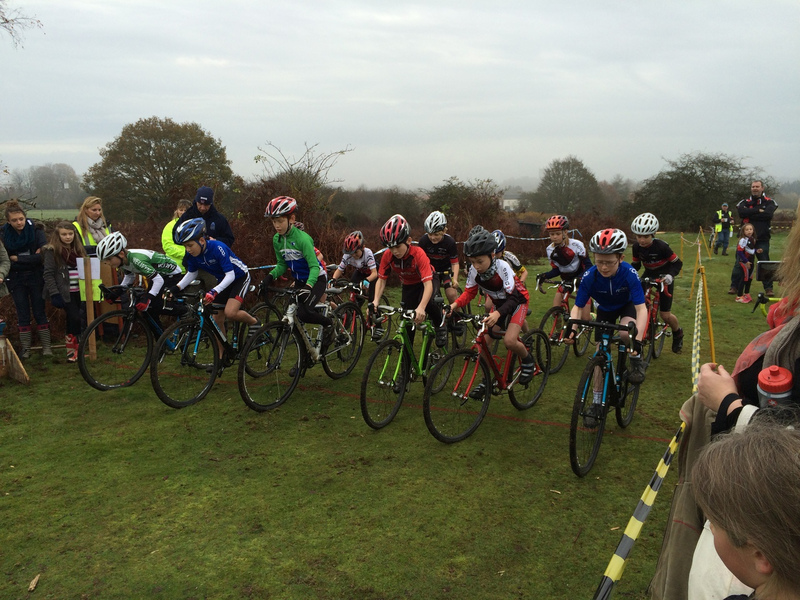 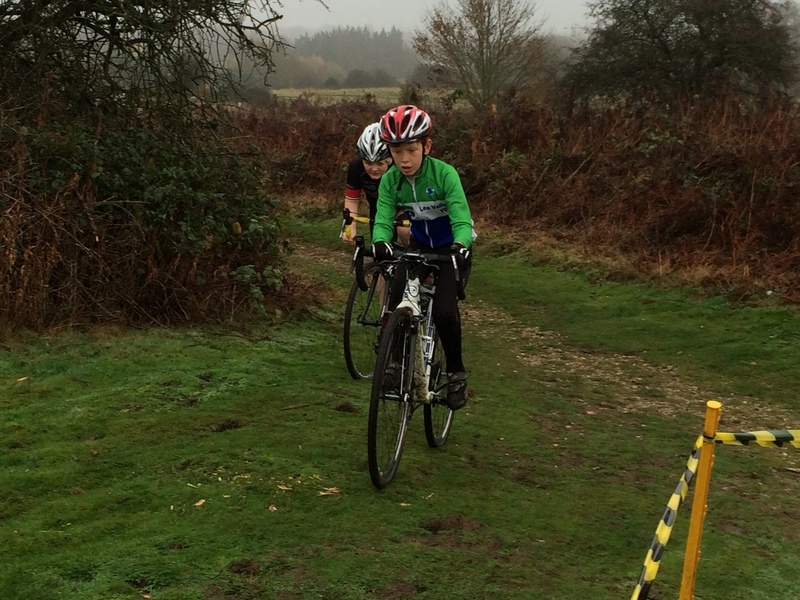 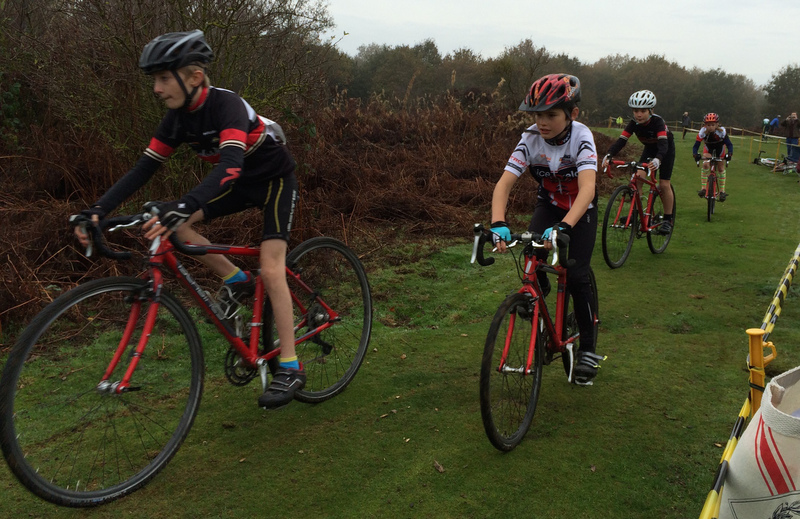 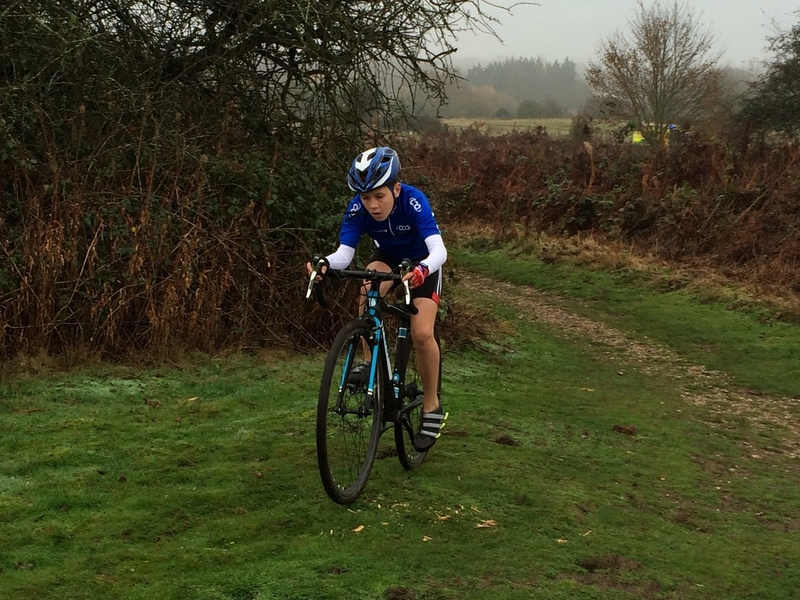 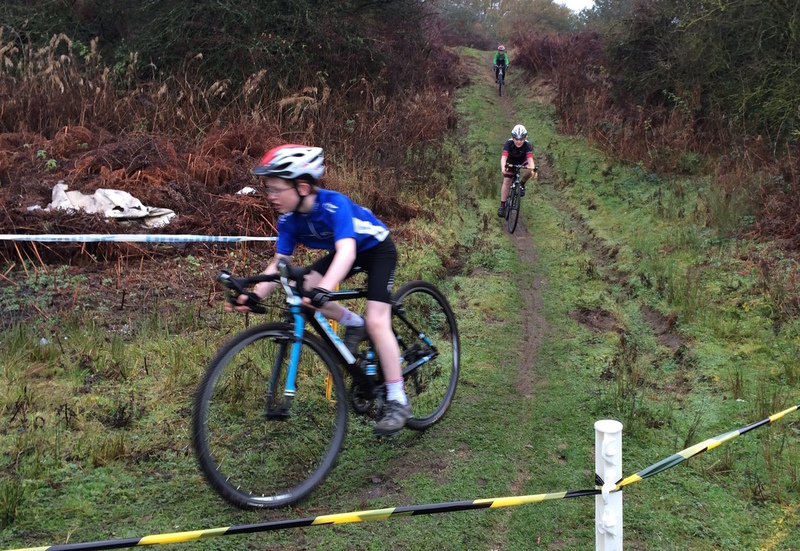 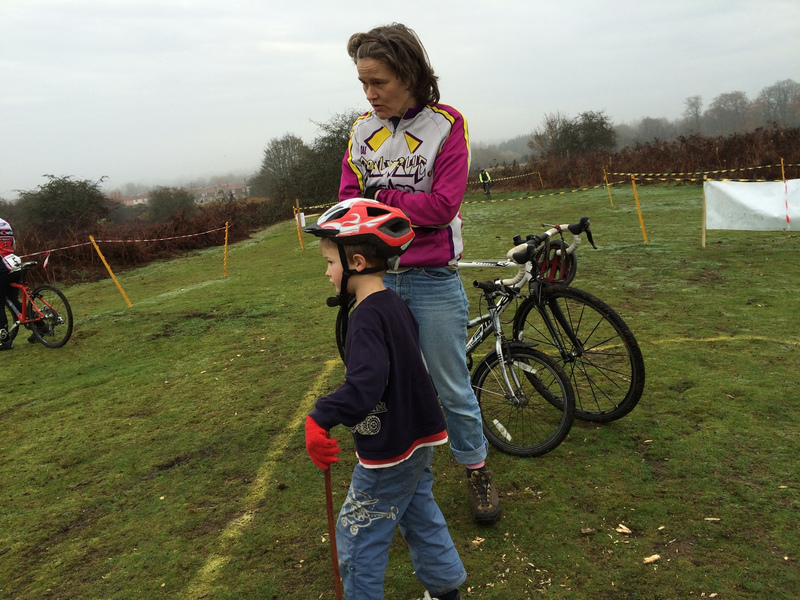 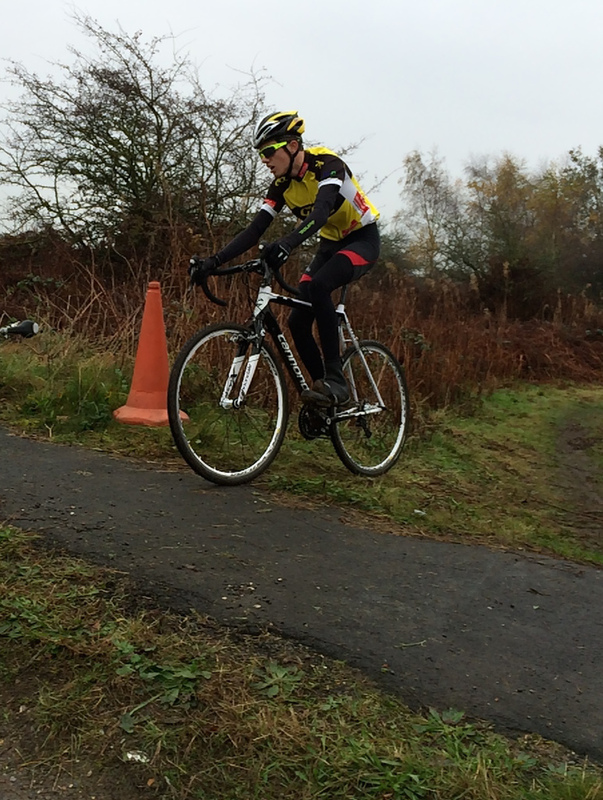 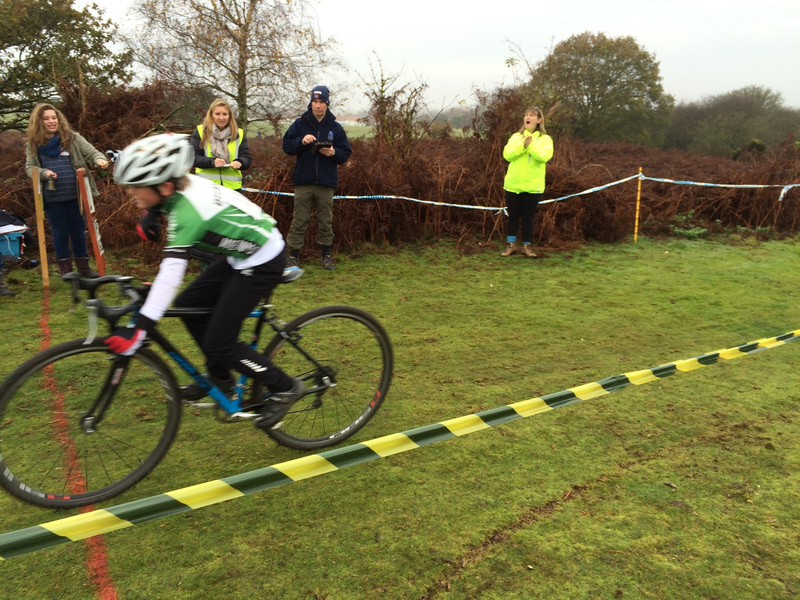 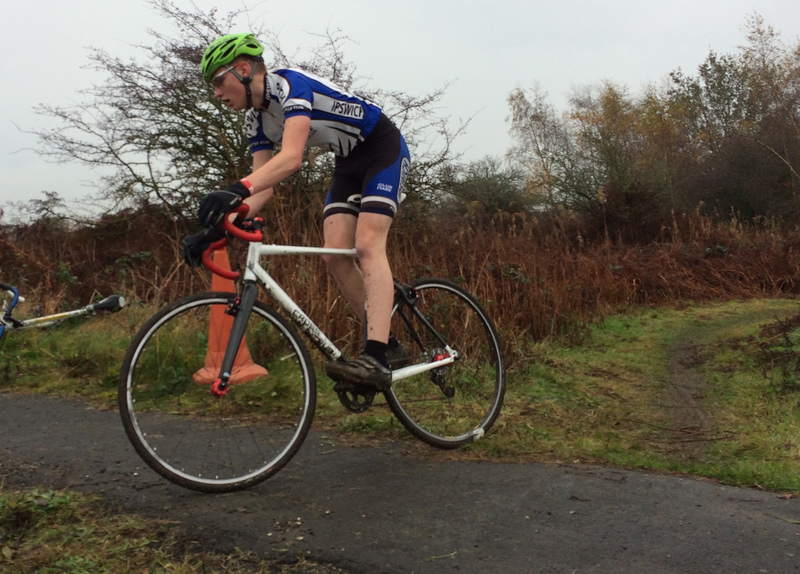 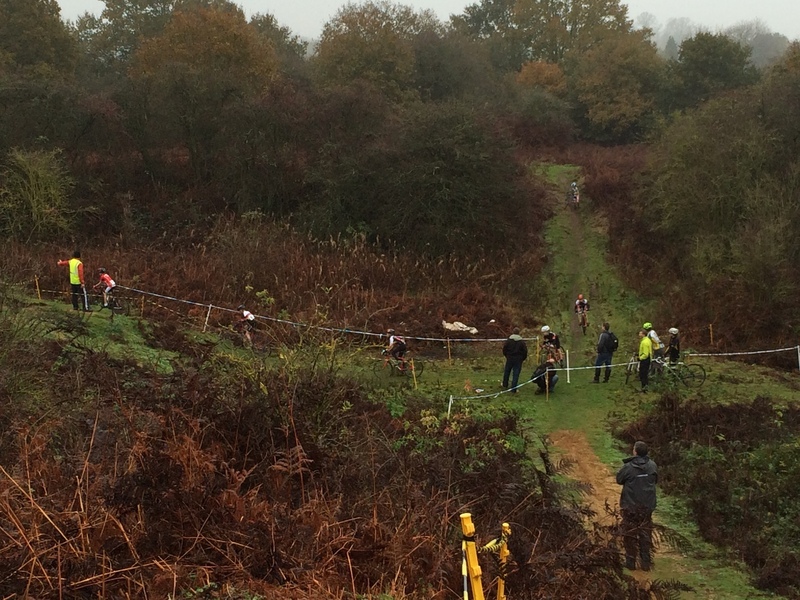 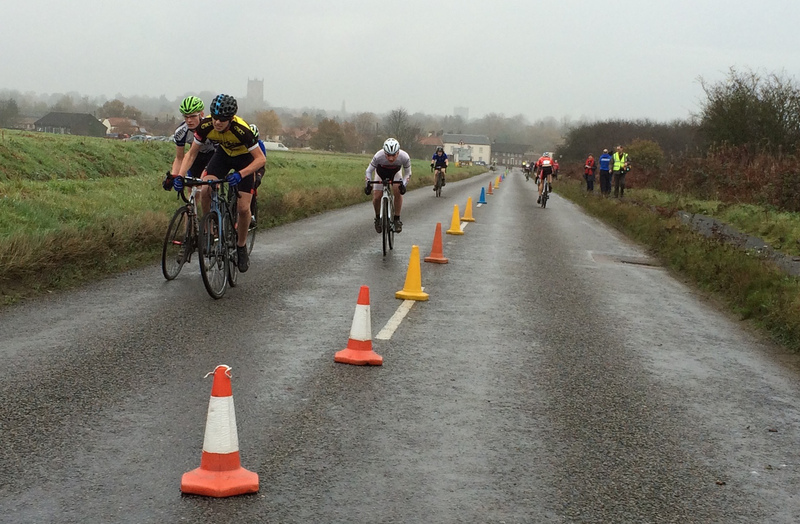 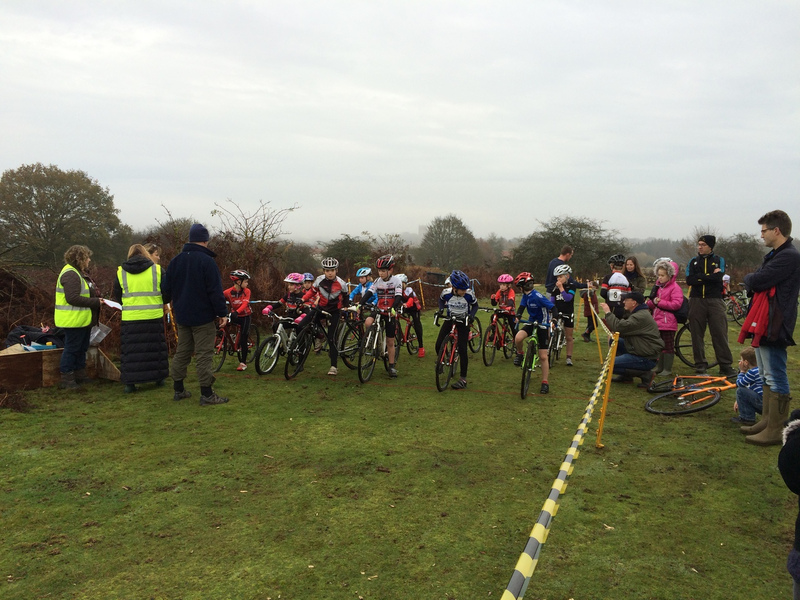 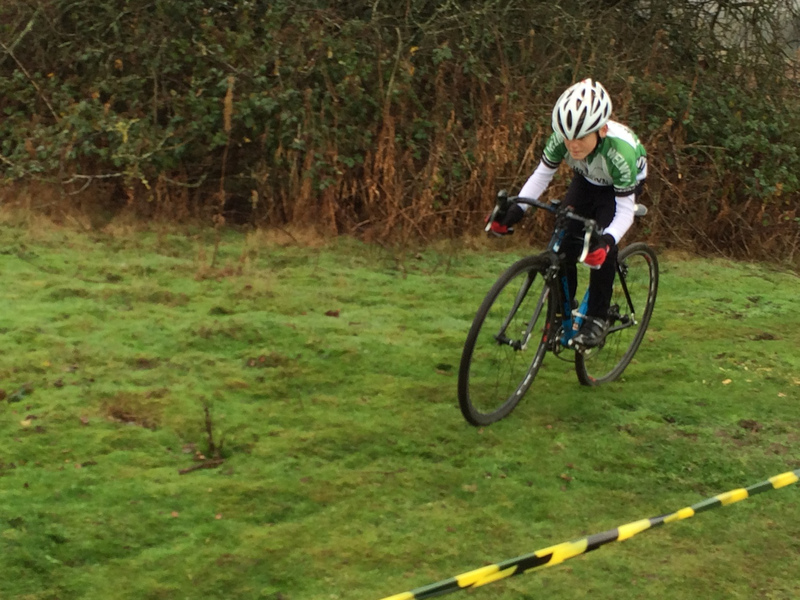 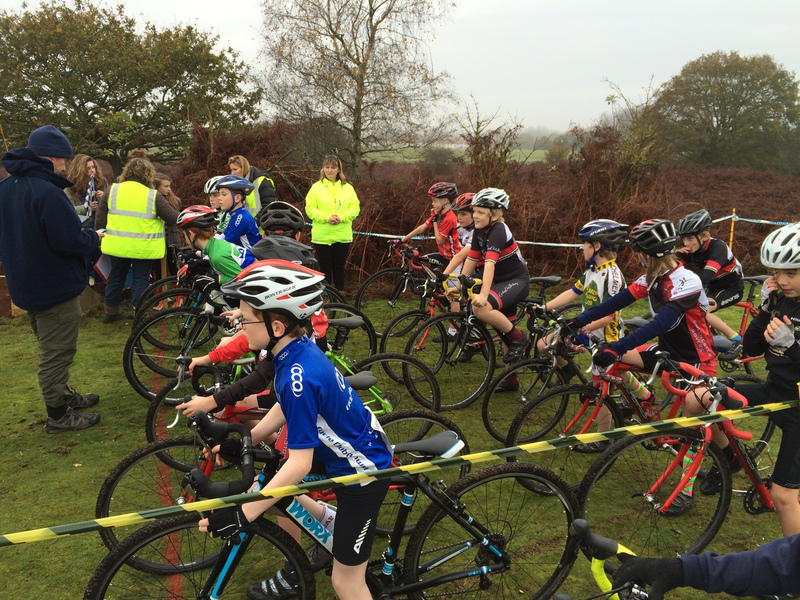 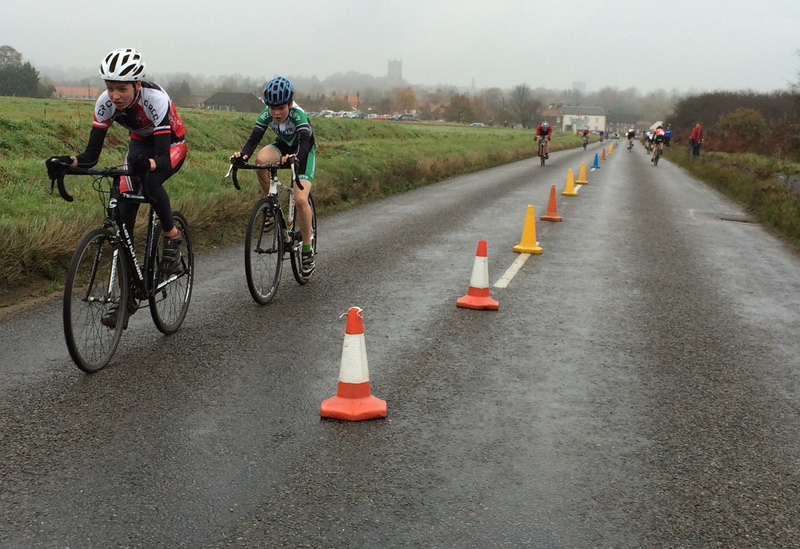 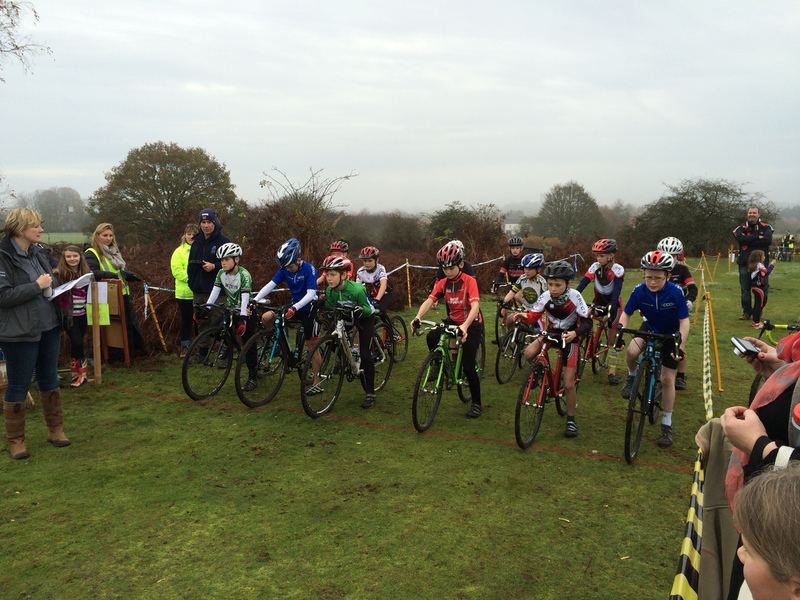 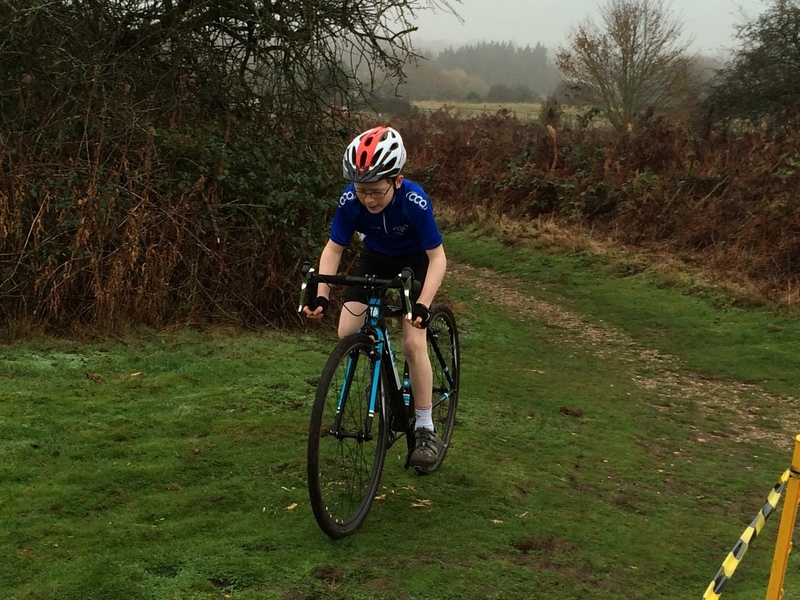 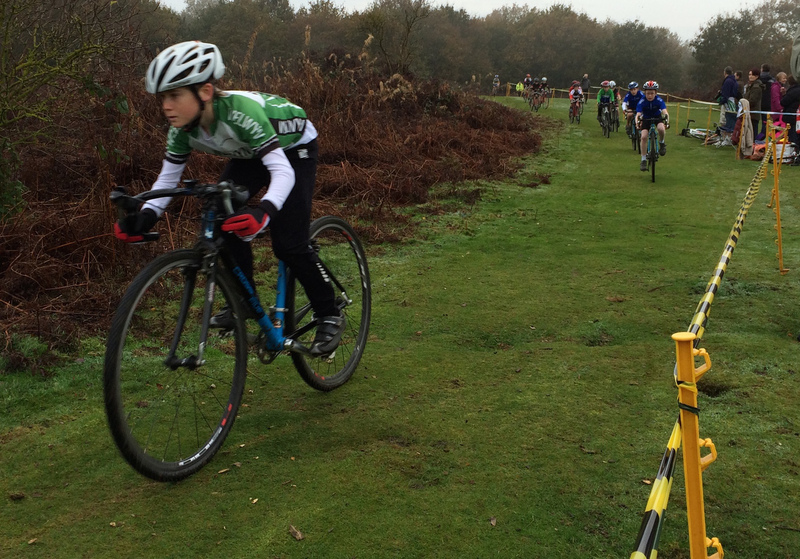 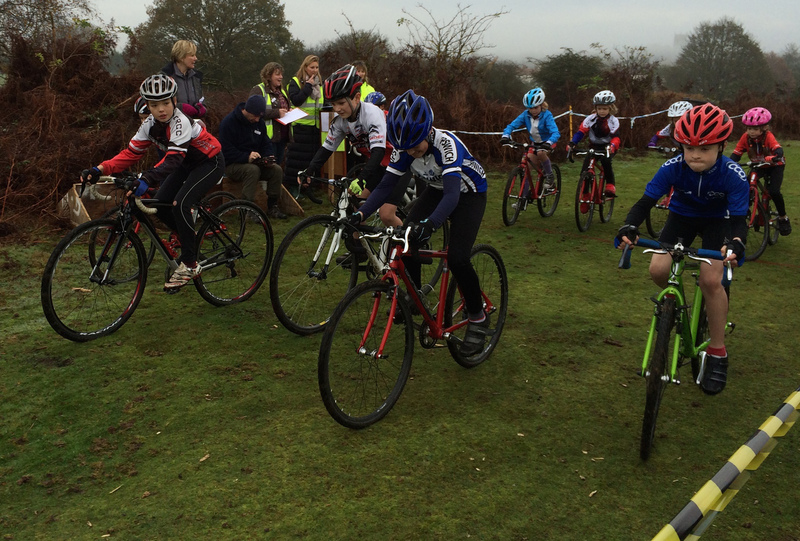 "Proper cross racing", was how a few people described it! 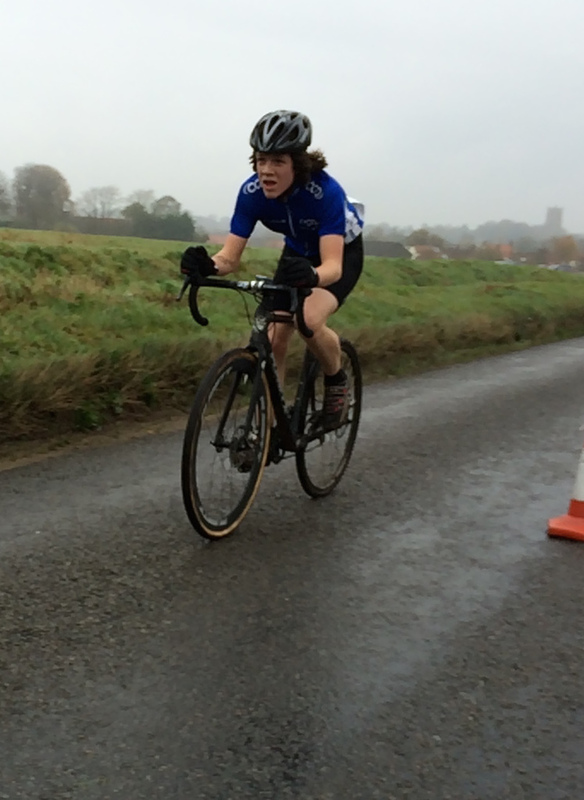 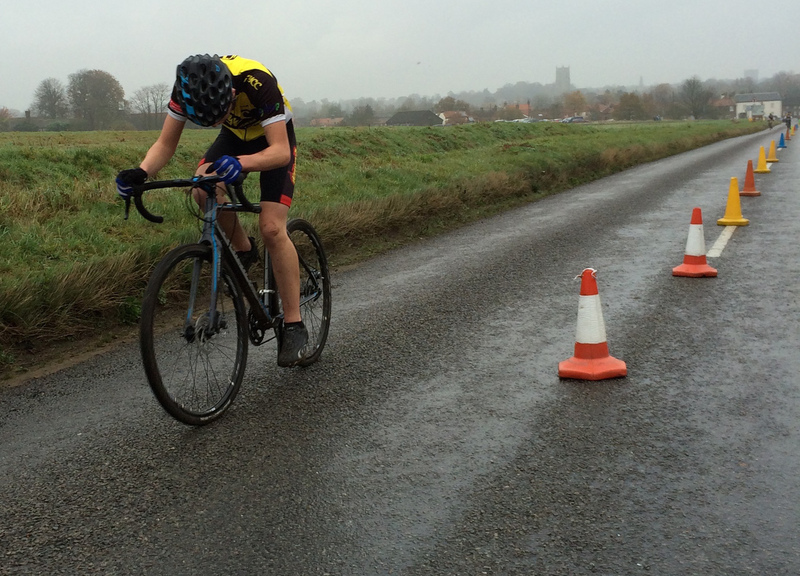 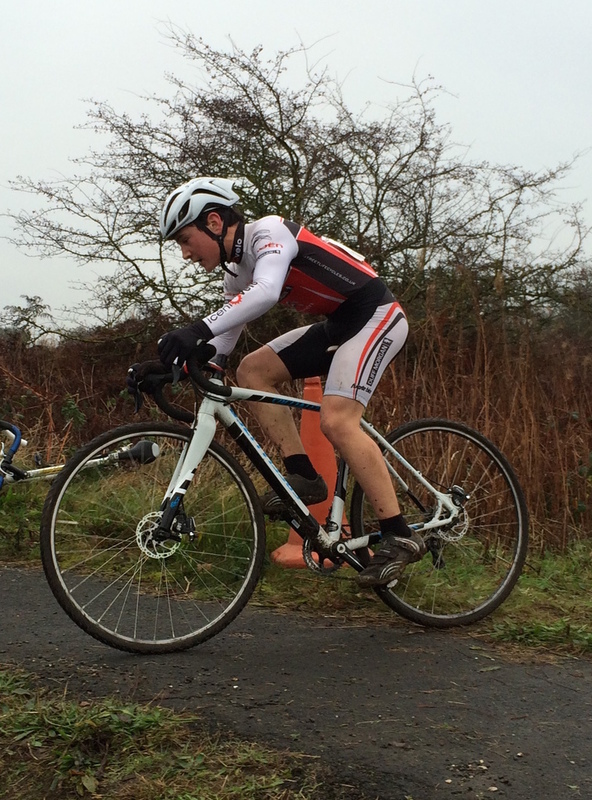 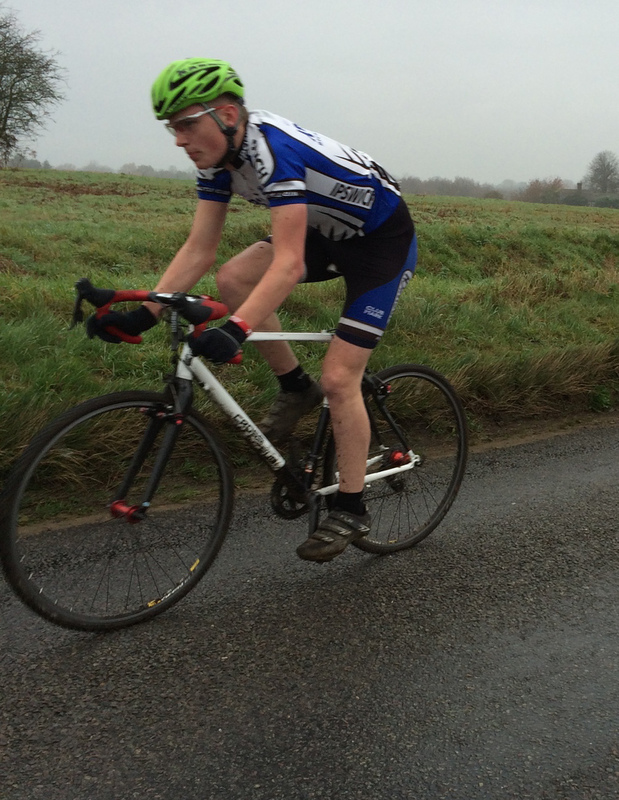 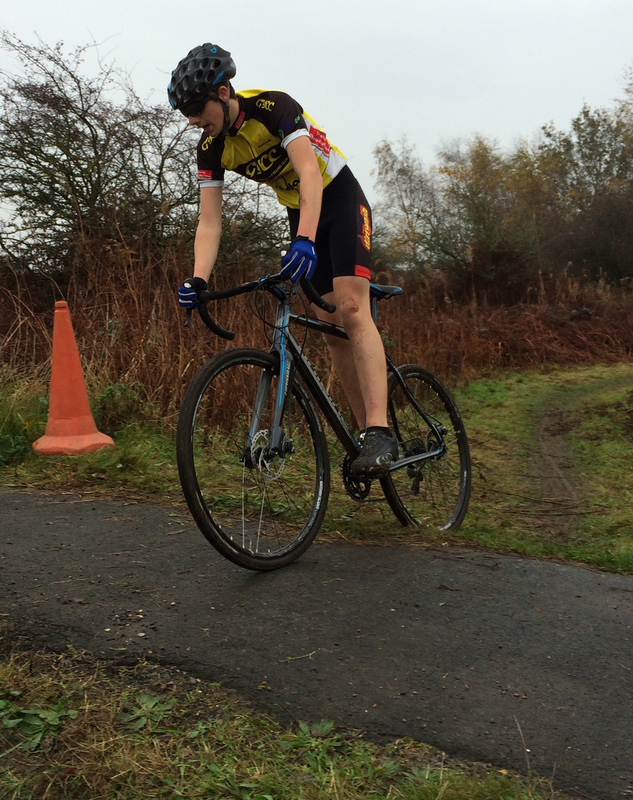 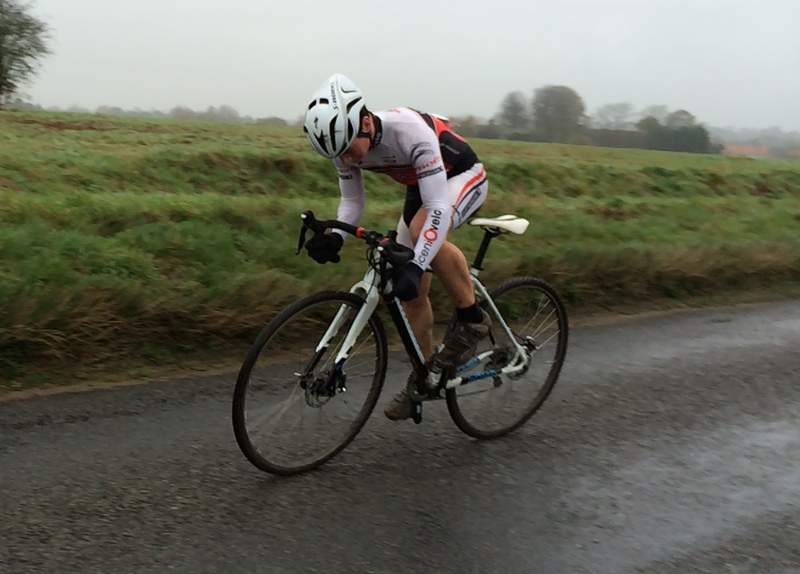 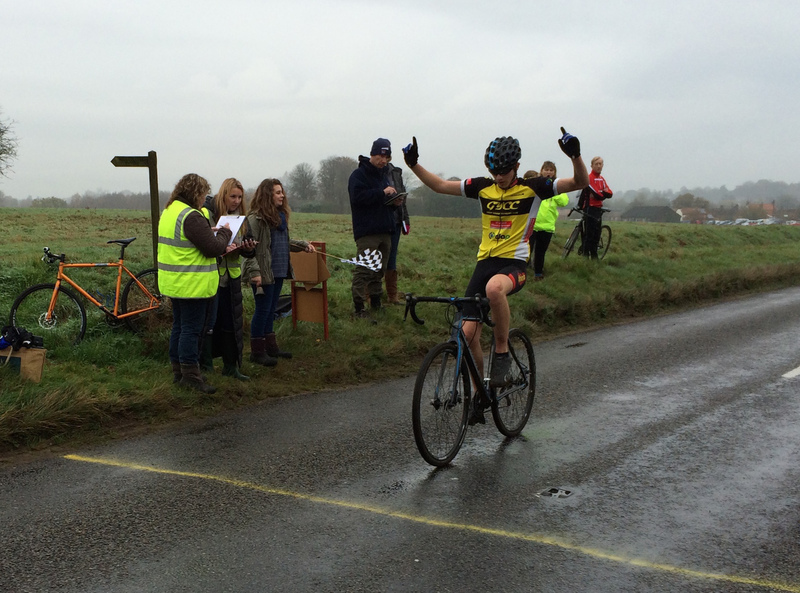 Once again I had a good start, hitting the tricky gravel section in 3rd place after a 30mph sprint up the road. 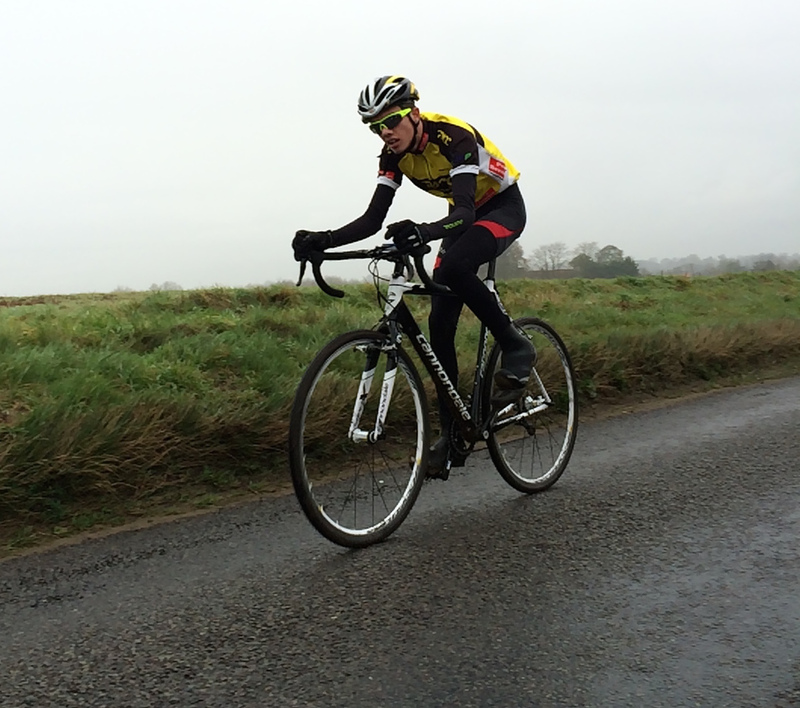 I took the lead after team-mate Paul Groombridge took a spill at the bottom of the flinty descent, but only for a minute or so as Ian Newby (Diss & District CC) steamed past me. 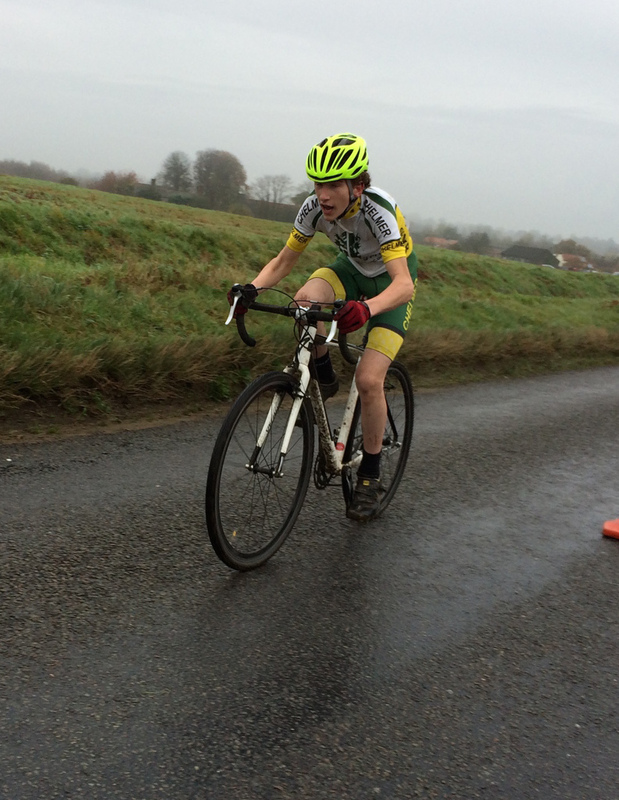 On the second lap I suffered a pinch flat down the flinty descent, and was rapidly overhauled by Groombo and then by Tony Birt (Ipswich BC). 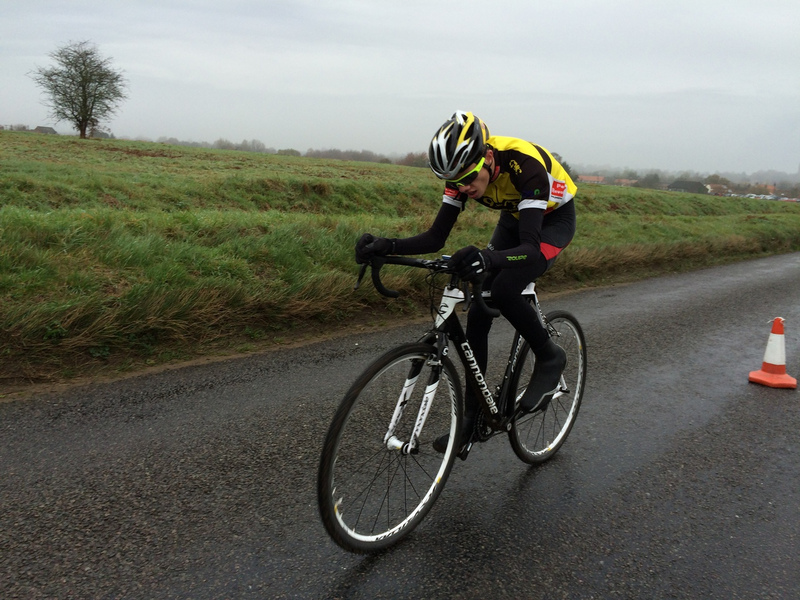 My bike change left a lot to be desired: firstly I took almost 30 seconds to find my spare bike, and then remembered that the saddle height was too low and the tyres were too hard. 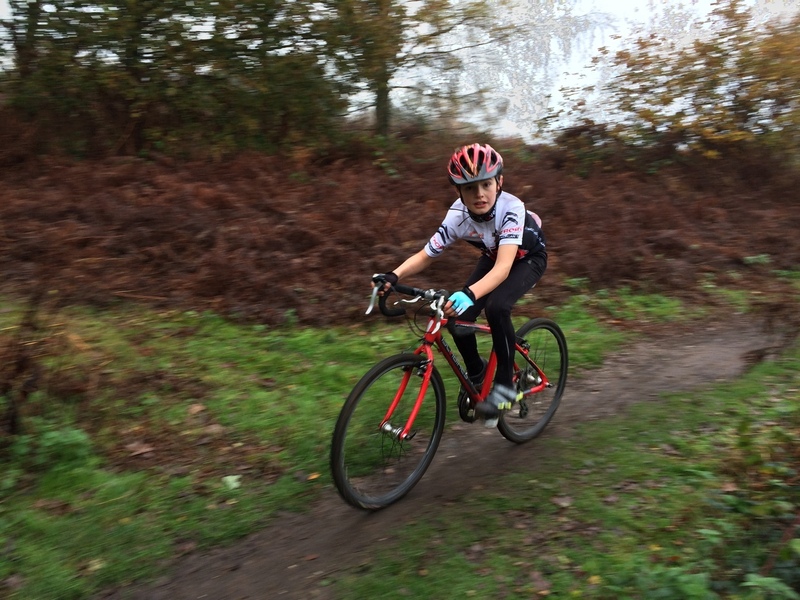 Still, I persevered on it and thankfully managed to hold onto 4th place - but it was only due to a comfortable lead above the chasers that my dismal spare bike change and setup that I didn't lose places. 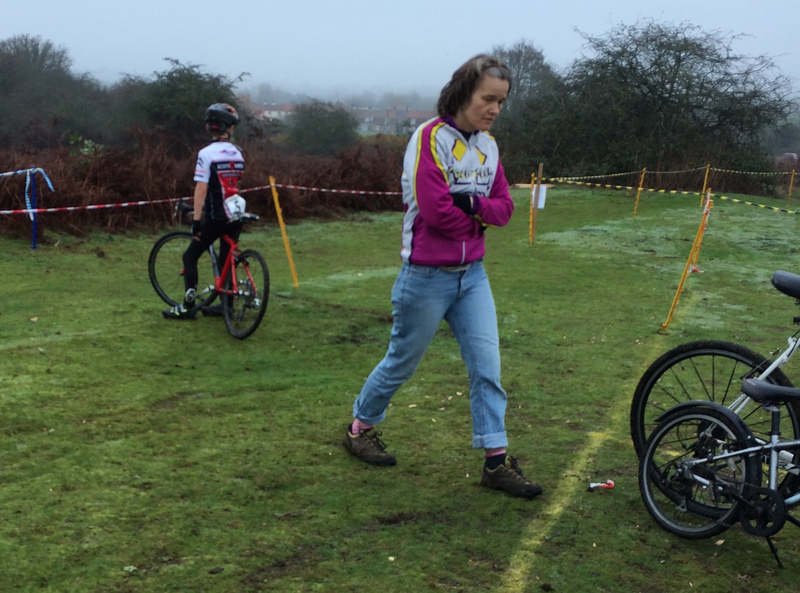 Birt and Groombo were riding strongly on a quite demanding course, so I don't think that even a perfect bike change would have allowed me to get back up with them.